Reading time: about 23 minutes. Had it not been for the movie “Back to the Future” the DeLorean DMC-12 would almost certainly have become a car that was largely forgotten except by a small group of hard-core enthusiasts. 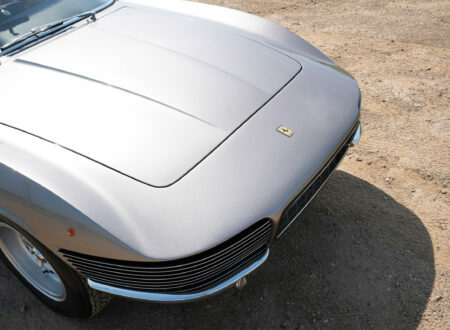 It was a sports car that initially had great potential, all wrapped up in a beautiful Giorgetto Giugaro body in eye-catching brushed stainless steel. But this was a car that seemed to meet a series of hurdles that were to compromise the design, and then destroy the DeLorean company. But the DeLorean became the Flux Capacitor equipped time machine that transported Marty McFly back to November 5th, 1955: and as it transported Marty across movie screens all over the world it transported itself into the imaginations of moviegoers – becoming their dream car. The DeLorean DMC-12 did not begin as a movie time machine however, it began as the vision of John DeLorean, and that vision was for a stylish and sporty American GT car that would provide spirited performance in unique Italian style, a car that would be like an American Maserati. In fact Giorgetto Giugaro had designed the Maserati Boomerang show car in 1971 and it was quite likely the inspiration for the DeLorean (and for the Lotus Esprit). Having been the youngest division head in General Motors history, John DeLorean left the company in 1973 to form his own company. 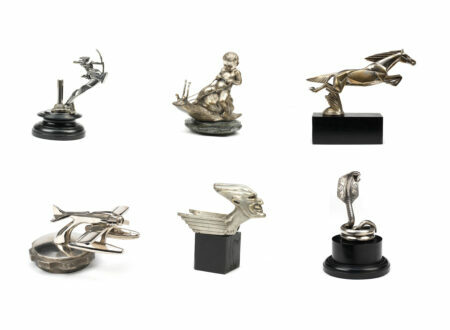 Leaving behind a position that had given him oversight into the creation of some of the most iconic cars of the sixties, such as the Pontiac GTO, John DeLorean had set his sights on doing something completely different, and on doing it independently. Forming the DeLorean Motor Company he created a prototype called the DeLorean Safety Vehicle (DSV) in 1975. This original prototype featured body design by Guigaro and was to be powered by a mid-mounted Citroën/NSU Comotor Wankel engine. 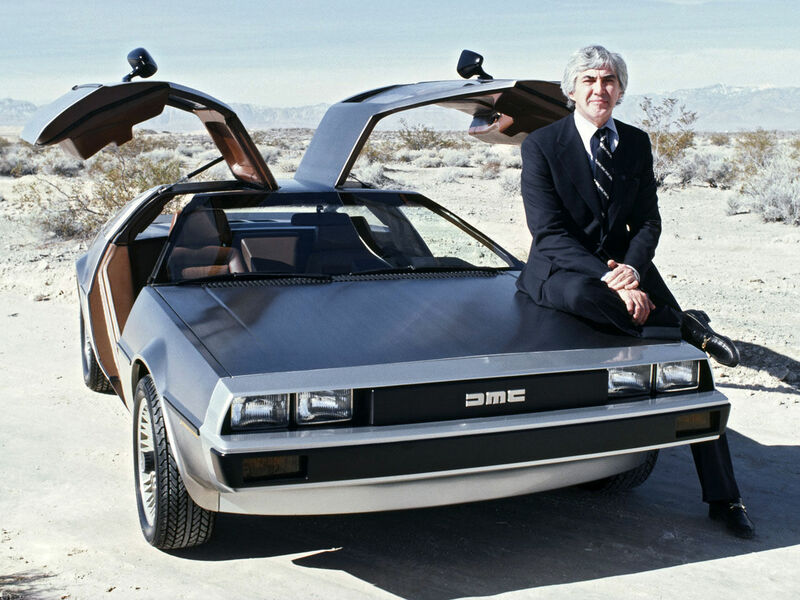 John DeLorean’s vision did not stop at creating an artistic sports coupé however. He was determined to use the most innovative construction method possible and so purchased the patent rights to the Elastic Reservoir Molding (ERV) process, which promised to make it possible to build this new car both lighter, and with greater structural stiffness, than the methods being used by automotive makers up to that time. It was these two design decisions that arguably would lead to the demise of the DeLorean. The Elastic Reservoir Molding process, that was supposed to enable mass production of a molded plastic frame, proved to be unsuited to that purpose, necessitating a complete structural re-design. This re-design work was entrusted to Colin Chapman, founder and head of British sports car maker Lotus. Colin Chapman created a design that enabled the car to externally look much the same as the prototype, but that was based on a typical Lotus style backbone chassis: that chassis design being very similar to the one used for the Lotus Esprit. The use of the Lotus style backbone chassis made it more sensible to relocate the engine from the original mid-engine to a rear-engine configuration. Had DeLorean been able to use the Citroën/NSU Comotor Wankel engine this would likely have still allowed for a reasonably even front to rear weight distribution. The next blow to DeLorean however was in the engine department when the Citroën/NSU Comotor Wankel engine was taken out of production, forcing John DeLorean to choose a conventional reciprocating engine. He chose the 2,849cc Peugeot-Renault-Volvo (PRV) ZMJ-159 V6 with its lightweight alloy block and cylinder head that produced about 130hp. Given that a Maserati or Ferrari GT would be fitted with an engine of around triple that power output we can see that the DeLorean was not going to be a high performance sports car. It would seem that John DeLorean had already decided that his new car was only going to be a stylish sporty coupé, perhaps that had been his original “DeLorean Safety Vehicle” (DSV) intention all along. It was a design decision that meant that the DMC-12 was going to be fast approaching its maximum speed when Marty McFly accelerated up to 88mph to make his historic connection with the lightning strike on the clock tower. With a viable and surprisingly conventional chassis design under the stainless steel Giugaro bodywork, John DeLorean went looking for financial backers and managed to recruit entertainers Johnny Carson and Sammy Davis, Jr. But it was when the Northern Ireland Development Agency stepped in and offered to invest around £100 million into the project that John DeLorean decided to locate his new company factory in the town of Dunmurry, near Belfast. This was to be a fateful decision both for DeLorean and for the community of Dunmurry. Dunmurry was a place of high unemployment, but in 1978 when construction of the DeLorean factory began it was a place where unemployed people had a strong work ethic and a desire to get a job and make a better life for themselves. 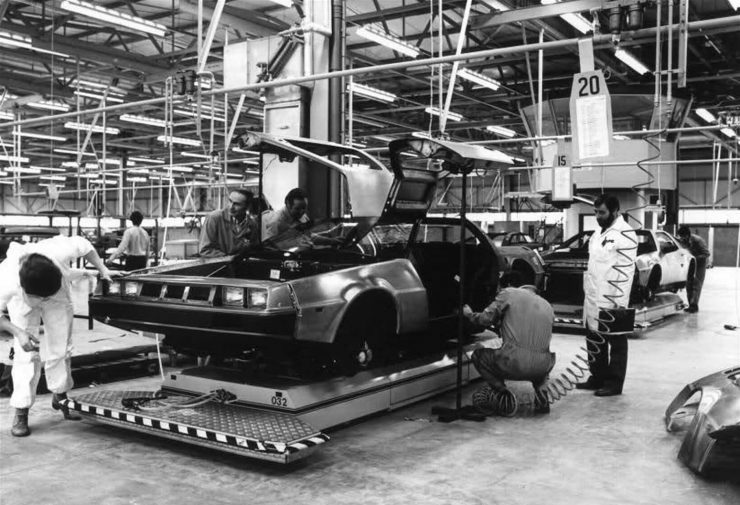 This of itself was of great benefit to DeLorean because although they recruited a relatively inexperienced workforce, they also got people who were highly motivated to roll up their sleeves. The DeLorean Motor Company began with a bold vision and to impress this on the automobile buying public in the days before “Back to the Future” the company decided to manufacture 100 gold plated DMC-12’s to promote the car as a symbol of affluence and style. Of the planned cars only two were initially made in 1980, with a third car being constructed from the gold plated spare parts in 1983. Additional to that one other DeLorean was gold plated by its owner. With the inevitable delays and cost overruns the factory finally began producing the DeLorean DMC-12 in 1981. Initial teething troubles and quality control issues with the production line were solved by 1982. However, in October 1982 John DeLorean was charged with drug dealing, having been subject to an entrapment operation by law enforcement. He would later be found not guilty by a court of law but the damage was done to DeLorean Motor Company and it was bankrupted that same year. Around the time that DeLorean Motor Company was moving towards bankruptcy Robert Zemeckis and Bob Gale had worked on a script for a movie initially inspired by Zemeckis wondering if he would have been friends with his father if they had met as students at high school. The idea of traveling back in time and meeting his own dad was jointly worked on by Zemeckis and Gale to create a movie script. The script was taken up by Steven Spielberg and Amblin Entertainment with distribution to be done by Universal Pictures. 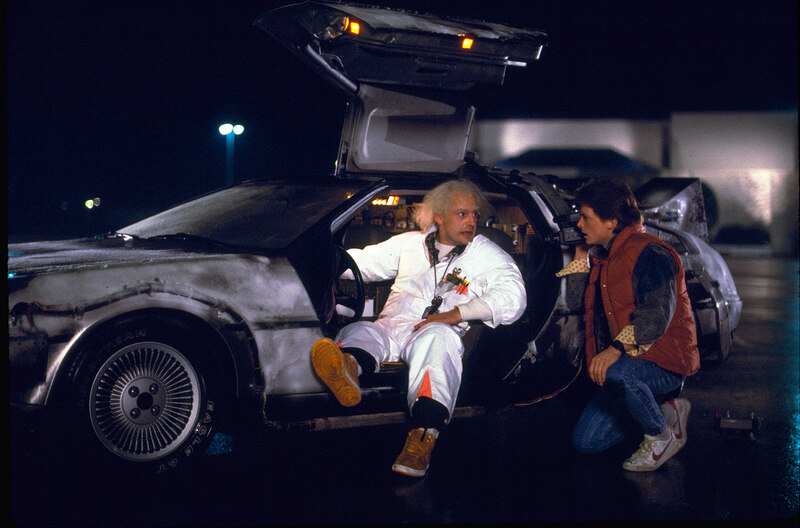 Fatefully for the future memory of the DeLorean DMC-12, it was chosen as the vehicle that Doctor Emmett Brown would equip with his Flux Capacitor, and several of the cars were procured for the making of the movie. Back to the Future was a movie that combined enormous vividness with characters and situations that the audience could immediately identify with. 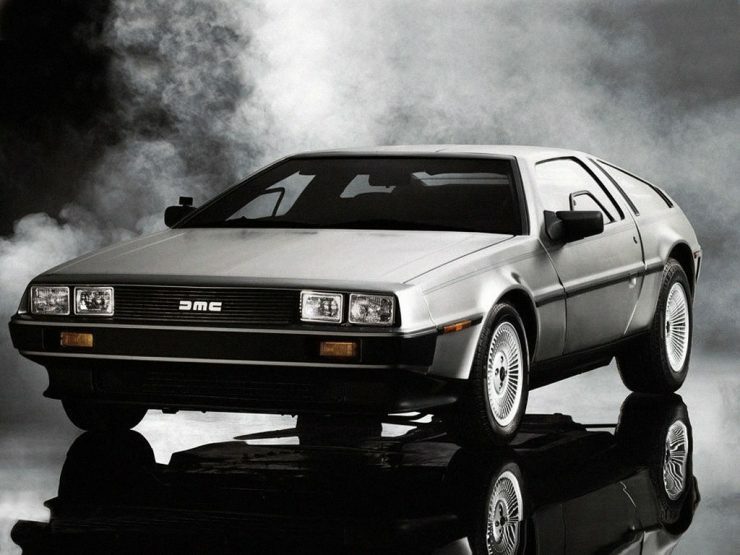 For a great many it became a favorite movie and with that came the desire to own a DeLorean, regardless of whether it could really do 88mph or not, nor whether it could transport you back to November 5th, 1955 or not. However, by the time the movie was released in 1985 the DeLorean Motor Company was long bankrupted and the cars were only available on the used car market. Had DeLorean Motor Company been able to stay solvent and avoid bankruptcy up beyond the release of the movie then we can surmise that Marty McFly and Doc Brown would have saved the DeLorean company and the employment of the people of Dunmurry. Sadly that was not to be. There was only one basic model DeLorean, the DMC-12, which was made with a small number of variations, in both left and right hand drive. 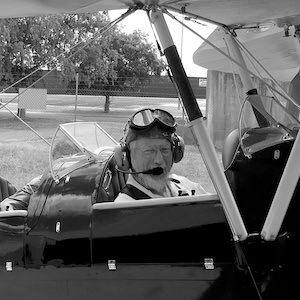 The initial plan for construction was for an Elastic Reservoir Molding (ERV) reinforced plastic unibody onto which the stainless steel body panels would be fixed. This proved not to be viable and so the compromise was to have Colin Chapman of Lotus Cars design a backbone chassis onto which a reinforced plastic (i.e. fiberglass) body would be mounted: the stainless steel outer body skin panels being fixed to the fiberglass body. So the car was structurally very much like a Lotus except with stainless steel body panels attached to the fiberglass bodywork. John DeLorean chose to use gull-wing doors for the DMC-12 which were supported by a Grumman Aerospace developed system of cryogenically preset torsion bars assisted by gas-charged struts. These were used to great dramatic effect in “Back to the Future”. The DMC-12 featured a rear mounted all alloy 2.8 liter V6: the same engine that in supercharged form would later power the Renault Alpine GT. In its naturally aspirated format the engine produced 130bhp (US market specifications), sufficient to achieve a standing to 60mph time of 8.8 seconds and a top speed of about 110mph for the 5 speed manual transmission version. The 3 speed automatic’s standing to 60mph time was 10.5 seconds. The manual transmission was a standard Renault box. These performance figures roughly equate with the four cylinder MGB and the Datsun 510 (Datsun 1600) of the 1960’s and early 1970’s. Cars built for the European and British markets had a power output of 155bhp. Interestingly, although the speedometer for the US market cars only went up to 85mph, there were cars made for the European market that were factory fitted with speedometers that went up to 140mph. The suspension of the DMC-12 featured double wishbones with coil springs and telescopic shock absorbers at the front and a multi-link system at the rear, also with coil springs and telescopic shock absorbers. Steering was by rack and pinion, and the car was fitted with servo assisted disc brakes all around, 10 inch at the front and 10.5 inch at the rear. 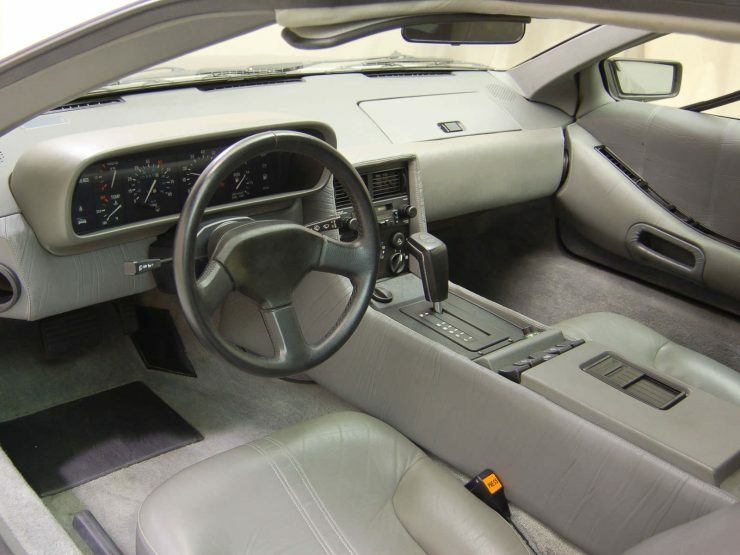 In short the DeLorean exhibited a strong Lotus design heritage and that augured well for the car’s handling. The DMC-12 with its original Lotus designed suspension handled quite well despite having a front to rear weight distribution of 35%:65%. (By comparison the early Porsche 911 models had front to rear weight distribution of 41.5%:58.5%, which was improved in the 1969 B-Series to 43%:57%.) 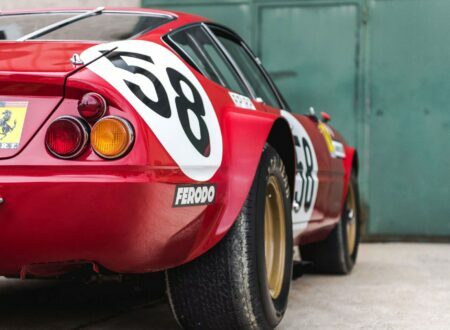 However it was decided that production cars would have their ride-height increased and that raising of the car’s center of gravity did not help the handling at all. DMC-12’s with the ride-height set at the higher level can be discerned by the odd looking gap above the tires under the wheel arches. The rationale behind this late design decision is hard to figure out as the car already met US regulations for bumper and light heights with the lower original suspension height. DeLorean did not at that time know that the car would be required to race across a farm paddock with a terrified Marty McFly at the wheel: but the added ride height was no-doubt useful for the movie cars. Many DMC-12 owners restore the ride height of their cars to the original Lotus specification and doing so dramatically improves the car’s handling. The lack of power of the DMC-12 had become a cause for concern for DeLorean Motor Company when in 1981 Road and Track magazine tested the car and found it wanting in the power department. About the only viable option to get significantly more power from the existing alloy V6 was to look at turbo-charging the engine. Development work for the twin turbo engine was entrusted to Legend Industries of New York. Legend decided to use IHI (Ishikawajima-Harima Heavy Industries) RHB52 turbochargers with twin intercoolers, and they developed modular boosting to optimize the efficiency of the system. The final development turbo-charged engine had a profound effect on the DMC-12’s performance, bringing the standing to 60mph time down to a crisp 5.8 seconds and raised the car’s top speed by a full 40mph to 150mph. This made the DMC-12 quicker than the Ferrari 308 and the Porsche 928. Although the twin-turbocharged engine never made it into the production DMC-12 it provides a potential plan for a DeLorean owner who would like to turn his/her car into a Porsche killer. Modern efforts to replicate the twin-turbo Legend engine combined with a modern fuel injection system can produce approximately 300hp. 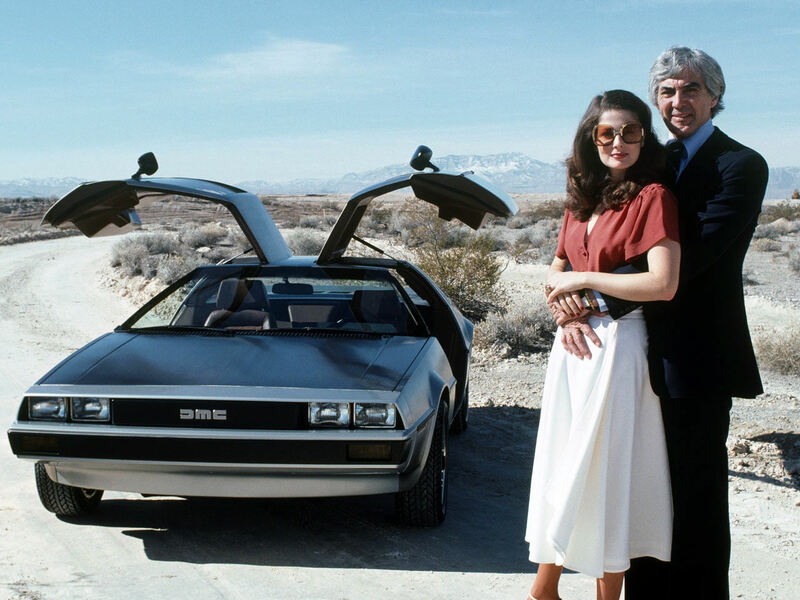 John DeLorean’s main market was the US, and to a lesser extent Europe. With both markets requiring left-hand drive cars the DeLorean factory only geared up to produce them, and not right-hand drive cars. 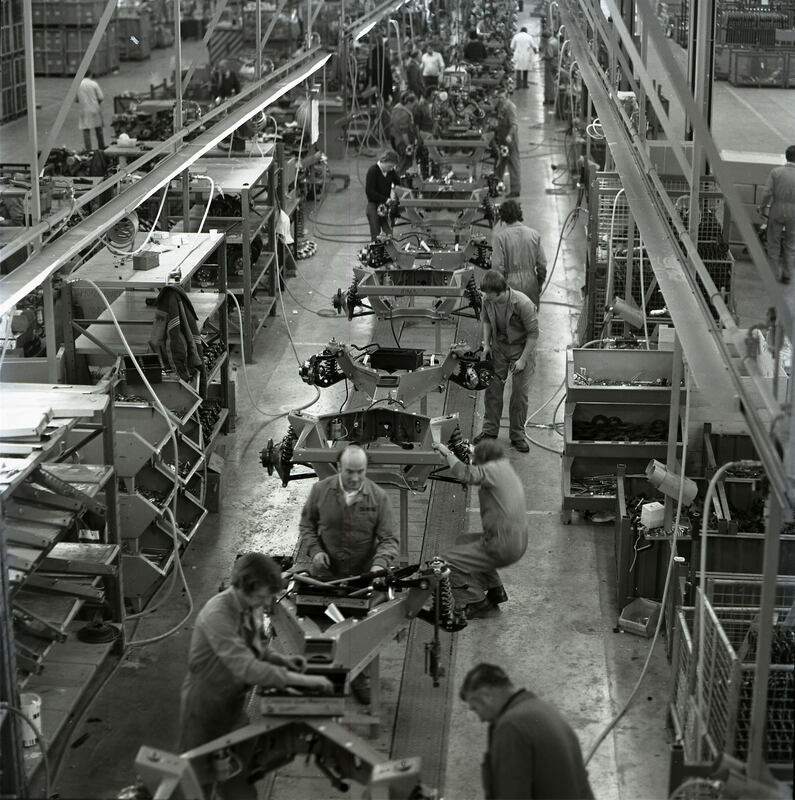 For the minority markets requiring right-hand drive cars such as the UK, Australia and Japan, DeLorean approached Wooler-Hodec Ltd. to do post-production conversion of factory left-hand drive cars to right-hand drive. It is believed that twenty conversions were ordered from Wooler-Hodec Ltd. of which thirteen were completed before DeLorean went bankrupt. These cars have VIN numbers 510, 12171–12181, and 12199. 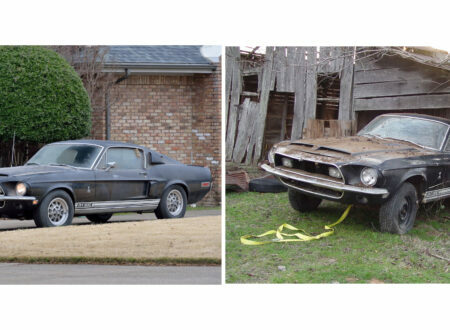 All these cars were made with black interiors and all were equipped with the 5 speed manual transmission except for VIN 12175, which is the only automatic. Subsequent to the first batch of Wooler-Hodec conversions a second batch of just three cars were also converted. These three cars have VIN numbers 5565, 5592 and 5638. When registered they had license plates AXI 1697, AXI 1698, AXI 1699, so they are commonly referred to as the “AXI cars”. These cars were made for the UK and as a result were not fitted with catalytic converters or other emissions controls required for US market cars. These three cars also differ from their factory siblings being fitted with roof-mounted radio antennas, indicator repeater lights, white forward-facing door lights, and a fog-light switch. The cars have rubstrips textured with the stainless body and were not fitted with American style side marker lights. The right-hand drive cars purchased at auction when DeLorean’s stock was sold off were found not to be able to be registered in the UK as they did not conform to UK vehicle standards regulations. A former DeLorean Motor Company executive arranged to have these cars modified so they obtain UK registration. The original tail-light clusters were replaced with Rubbolite units which feature a built-in fog-light function as required by UK regulations, and a switch was installed to activate the fog-lights. The the front turn signal lenses were replaced with units with a more rounded style and the rear side marker lenses were changed to amber. A new tail-light surround and number license plate bezel was custom-made and fitted, and the seat-belt assemblies were replaced with UK compliant types. Of the sixteen right-hand drive cars more than half received these modifications in addition to the conversion work already done by Wooler-Hodec. A number of left-hand drive DeLoreans have been converted to right-hand drive in addition to those done at the behest of the factory by Wooler-Hodec. Notable are the conversions being done by PJ Grady (deloreanuk.com). The fact that cars have been converted to right hand drive in addition to the sixteen rare cars means that a potential buyer must be aware that the right hand drive car he/she is thinking of buying is not necessarily one of the rare original cars. The DeLorean DMC-12 uses an unusual method of construction and so needs to be approached a little differently to most classic cars. The backbone chassis is of a welded box section and plate steel construction. The chassis was made by the GKN engineering company. The completed chassis was dipped in epoxy resin and coated completely for rust-proofing and protection. This has its advantages and disadvantages: the epoxy provides good protection for a period of years but it will deteriorate over time, cracking and potentially allowing rust to begin where water may seep in. It also makes it more difficult to examine the steel under the epoxy to assess for rust. Rust commonly starts from the inside out and a DeLorean chassis is a challenge to accurately assess. One of the key things to look for in a DeLorean chassis is damage caused by grounding. Grounding damage can happen whether the car has been lowered back to its original Lotus ride-height or not, but the lower the car the more likely it is to have sustained grounding damage. Grounding damage can crack the epoxy coating and allow corrosion of the steel chassis to get going. The other main area to examine for corrosion is the frame which is made of mild steel that is epoxy coated. The same problems of the epoxy cracking and allowing corrosion to get going is true of the frame as it is for the chassis. You need to check the frame, roof box, and suspension components for this problem. 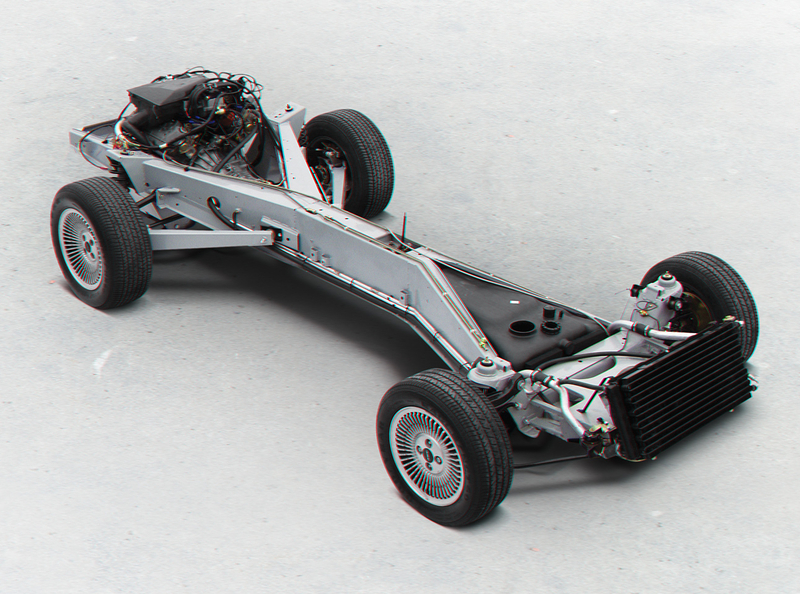 Fixed onto that epoxy dipped backbone chassis is a fiberglass body system. Fiberglass does not rust but, like all plastics, it does deteriorate over time. Fiberglass can exhibit osmosis, when moisture becomes trapped between the layers of resin and the glass fibers. This may occur during manufacture or as a result of cracking or damage later on. You need to get a look at as much of the fiberglass underneath the stainless steel bodywork as you can to look for damage and/or deterioration. Take a particular look at the way the gull-wing doors fit. This can be a good place to start looking at whether or not the body is straight and damage free. The structural stiffness of the car can be partly assessed by jacking up each end of the car in turn and opening and closing the doors. 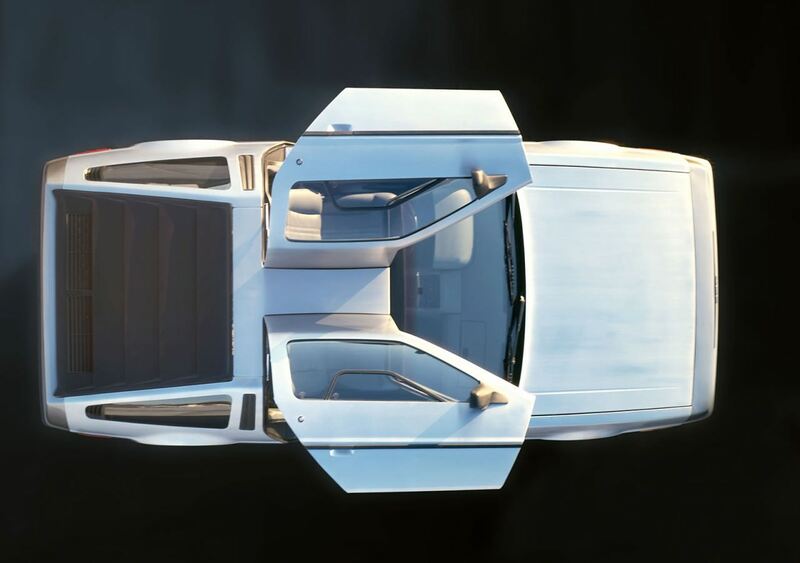 On top of the fiberglass body the DeLorean affixes panels made of brushed stainless steel. The fact that there is no paint covering those panels means you can visually assess for corrosion or damage more easily. If the car has been painted however there may be some underlaying reason why that was done: for example the stainless steel body panels may have become too pitted to be repairable. Paint can be used to cover a multitude of sins and paint and body-filler can conceal accident damage or similar nasty things. If the car has been painted then you’ll need to assess if it actually still has stainless steel panels under the paint, and what condition those panels (and the underlaying fiberglass) are in. Paint does not readily adhere to stainless steel and special surface preparation (such as a metal-etch primer) must be done before priming and painting. Repairing and maintaining the stainless body panels is quite different to working with a painted surface. 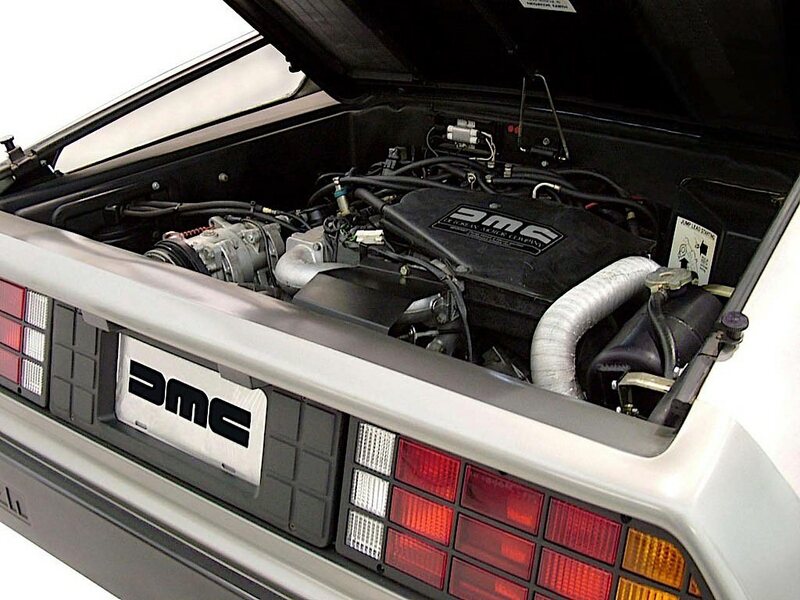 The DeLorean body panels were made of 304 stainless steel and the use of this lower grade stainless means the panels can corrode to the point where they begin pitting, and eventually the pitting can eat all the way through the panel. Had DeLorean used a higher grade of stainless steel such as 316 it is much less likely that this would have become a problem. If the panels are in good shape and just need some touching up then they can be sanded. The sanding process must be done consistently to create an even brushed appearance and is best done with a power wheel to buff the panel evenly. 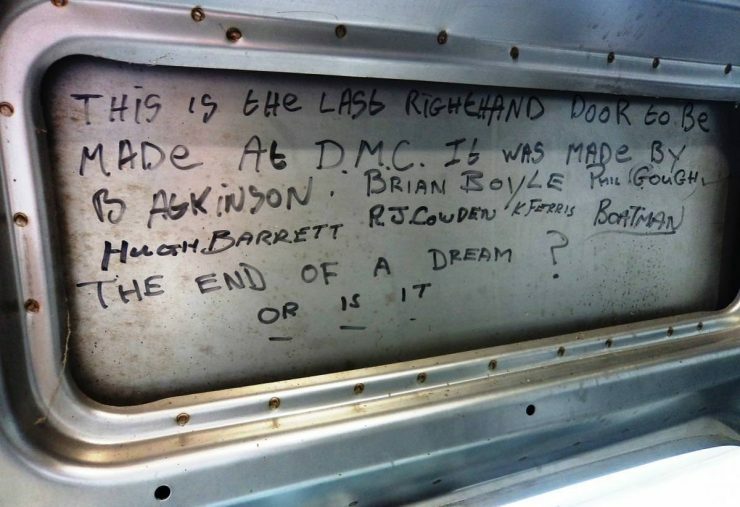 Damage to a panel is another matter entirely: the DeLorean was made so the stainless panels could be easily replaced if damaged and that remains the best solution, provided that you can obtain a replacement panel. On the subject of replacement panels the DMC-12 was fitted with no less than three different styles of hood/bonnet during its short production run. The early 1981 hood featured a fuel flap to enable the car to be refuelled without the need to open the hood completely. This hood also has grooves on either side parallel with the join to the front fenders/wings. The second hood type no longer has the fuel flap but does still have the parallel grooves. The third and final type is plain with no grooves. So if you come across a 1981 car with the later hood style you will know that the panel has been replaced for some reason, probably damage. The interior of a a car is often a good indicator of the attitude of previous owner(s) to looking after it. If the interior shows that it has been well looked after with normal deterioration with age, a nicely patinated look, then that augers well. Grime and damage caused by carelessness do not. Sun damage: cracks in the dashboard etc. can often be repaired but check up on that before purchase so you are clear on cost and viability. A very low mileage car: such as one that has less than 5,000 miles on the clock, may seem like a safe bet but in reality it is to be approached with caution. Re-commissioning a car that has been sitting for a long time needs to be done properly to avoid damage to the engine. The fuel tank needs to be emptied and the fuel system flushed clean before filling up with fresh fuel. The fuel tank has components in it that can be most easily accessed via the inspection cover located in the trunk/boot: there is normally no need to remove the fuel tank from the car. The fuel pump needs to be checked as it can be subject to corrosion and rotting. If in doubt throw it out and replace it with a new one during re-commissioning and before starting the car. Oil seals that were new in 1981 have had more than three decades to deteriorate and you must expect to replace them before taking your “Back to the Future” car for its first drive. A car that has been sitting for decades that was not re-commissioned properly will have had corrosion and gunk from old fuel drawn into its engine, and that will not have done it the slightest good. A car that has been periodically used, one that has 20,000-40,000 miles on it can be a safer bet. The engine of the DMC-12 is known to be a reliable unit and if properly looked after is said to be good for 300,000 miles. Have the engine looked at by a competent mechanic to properly assess its condition. Sports cars can tend to be driven hard, and hard driving rapidly accelerates engine deterioration. If you are planning to turbo-charge your newly acquired DMC-12 be aware that the original factory fitted PRV engine is not suitable for that treatment. You would need to acquire a turbocharged engine such as the PRV Z7U from a Renault Alpine GTA or similar and replace the original engine with that. The manual 5 speed transmission used in the DMC-12 is a unit with a good reputation. It needs to be checked for wear or damage and, as always with a used car second gear is the one to watch. In the case of the DMC-12 the roll pin in the selector fork wears and needs replacement, and this will cause baulking as you try to engage second. The part is inexpensive but replacing it is a gearbox out of the car job so be prepared for that. A lot of the switches and instrumentation in the DMC-12 are unique to the car, so you need to be sure that everything is working properly or that replacements/repairs are possible, and what the value of those things are. A car with very low mileage is not necessarily a safe bet. If rodents have been in a car that has been sitting for years in a garage then those sharp little teeth can wreak havoc on the wiring. The DeLorean was made with electric windows and air-conditioning as standard so be sure everything is working, and working properly. Check the fuse box for blown fuses, signs of things burning out etc. Also be aware that the original alternator of the 1981 cars was not up to the task of providing sufficient electrical power for the car, so if it hasn’t been upgraded replace it. As with any prestige car it is important to look through the documentation that comes with it, especially the service record, and any major repairs that have been done. This provides a means to assess the quality of the car’s background. It may be a good idea to join a local/regional DeLorean club as they will have knowledge of the cars in their region and may well be able to offer insights into the car you are considering. It is worth getting someone who is a marque expert on these cars to assess the one you are considering as they will know what to look for and may even be familiar with the car you are examining. One particular item to be aware of is that the DMC-12 was subject to a recall regarding the front suspension. Ensure that the car you are looking at has documentation to verify this recall work was done. If you are planning on a DeLorean then “The Illustrated Buyer’s Guide to DeLorean Automobiles” by James Espey is the must-have book that contains the must-know information about the car in great detail. 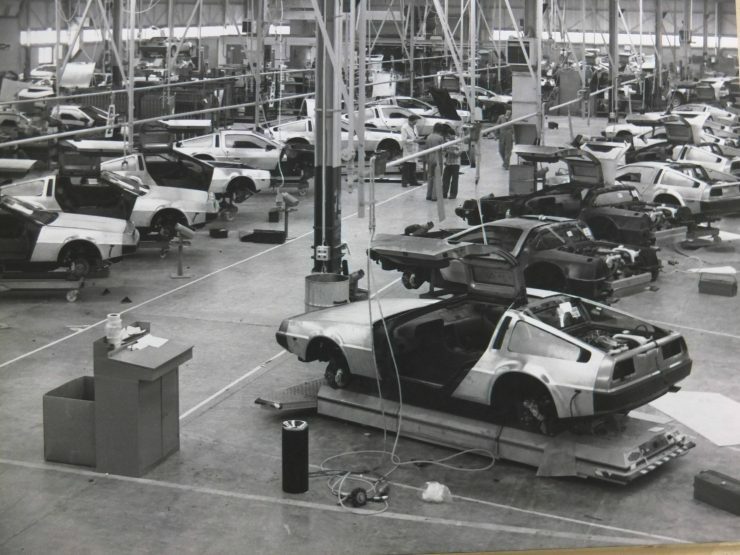 DMC Texas, located in Humble, Texas, acquired the existing New Old Stock (NOS) parts inventory for the DeLorean DMC-12 and in a legal case in 2015 the right to use the DeLorean name. 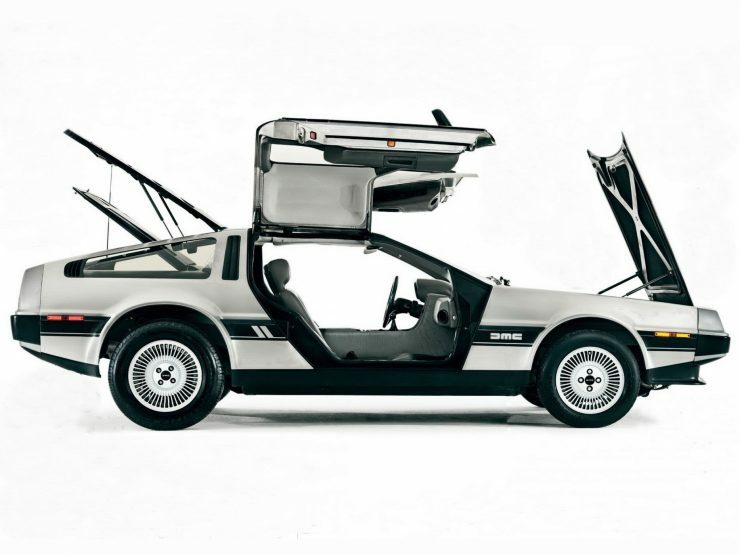 They now both supply DeLorean parts and build “new” cars using the NOS parts with some new components, such as a stainless steel frame instead of the epoxied mild steel one of the original cars. These cars have a number of improvements over the originals, and you will find the DMC Texas website at delorean.com. They are located at 15023 Eddie Drive, Humble, Texas 77396, USA. 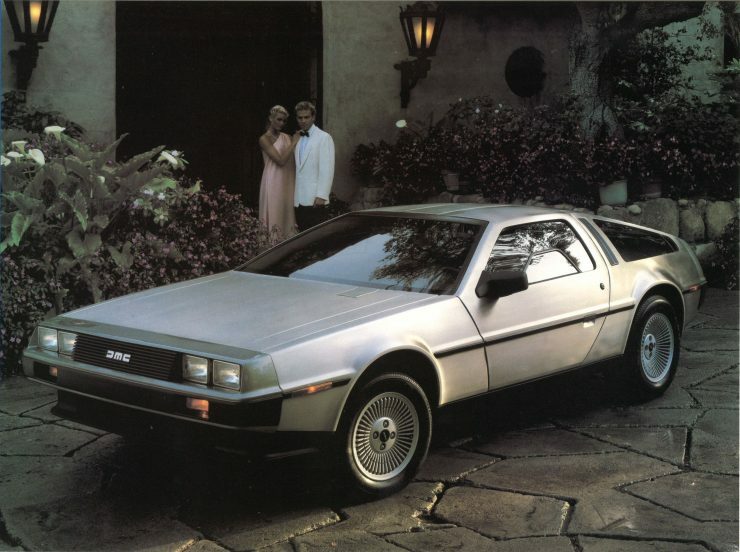 Like the Aston Martin DB5 of James Bond fame, the DeLorean DMC-12 is a car made famous by a movie. It is a car that possesses the romantic aura of its association with Marty McFly and Doc Emmett Brown and the adventures they have centered around the DeLorean. It is a car that you will likely want because it’s a movie star. 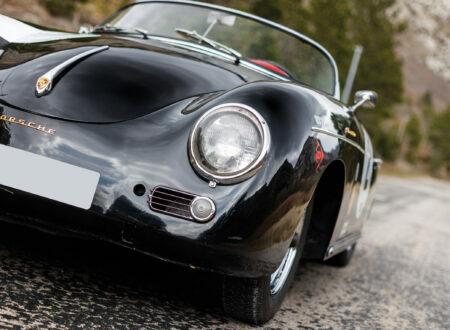 Properly sorted out the DMC-12 can be turned into a sprightly performing sports car, and with a turbocharged engine it can have performance and handling in the Porsche class – it is built on a Colin Chapman designed chassis and he was a maven of chassis and suspension design. It is a car that you can do a lot of the work on yourself if you gain enjoyment from that. It is also a car that will at a minimum get admiring glances wherever you go, a car that is likely to draw a crowd.